With a bold punch of citrus and hint light fruity sweetness, this is one special fragrance. 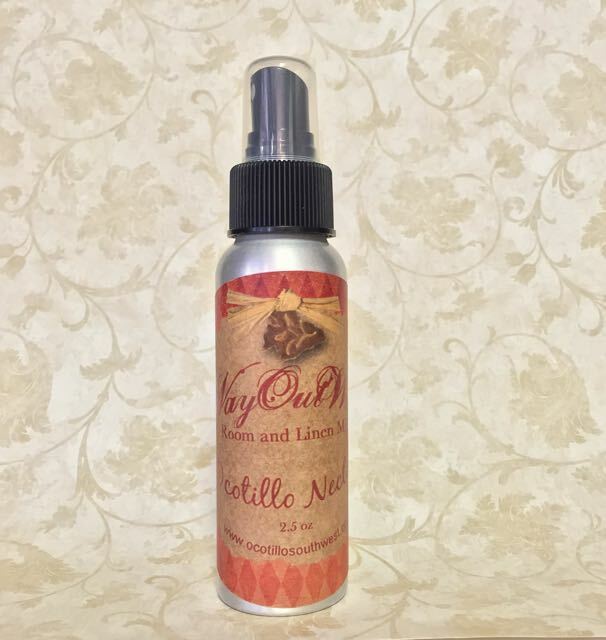 It will fill your room with a scent that you will want to smell again and again! 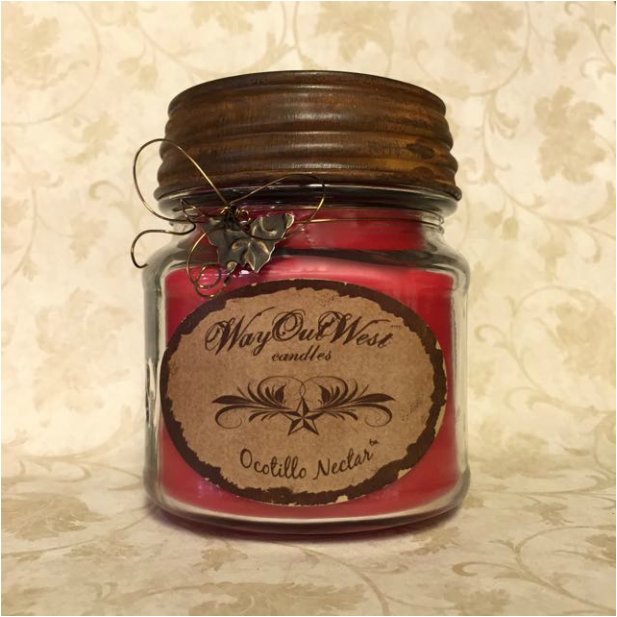 This scent is available in the Ocotillo/hand blown glass, Way Out West mason jar, and the room mist. The gorgeous Ocotillo plant is found mostly in the Sonoran and Chihuahuan deserts. Although it resembles a cactus, it is actually a woody plant which can tower upward 20-30 feet. It looks mostly dead until it receives water, and then voila! The small green leaves appear and a gorgeous bloom opens at the very top of the long spindly branches. The beautiful red flower of the Ocotillo was used by the Native American Indians as a treat. The nectar was used as a drink served hot or cold, and the flowers were dried and eaten like candy! Each hand poured candle comes in a gorgeous hand blown glass container, with two special charms. Burn times will vary, but most will burn more than 30-40 hours.